This is a walnut/ maple table set with waterlox finish. 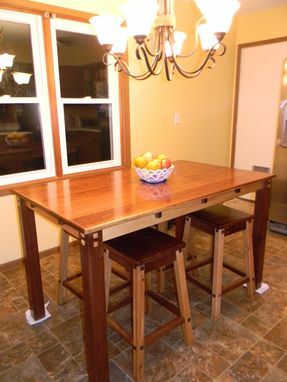 The table features a solid walnut top with solid walnut legs. It has solid maple skirting and pillowed plugs. 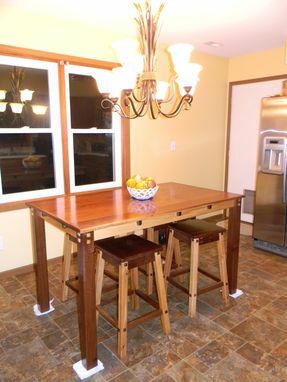 The stools feature solid walnut seats and maple legs with walnut plugs. All edge are quarter rounded. 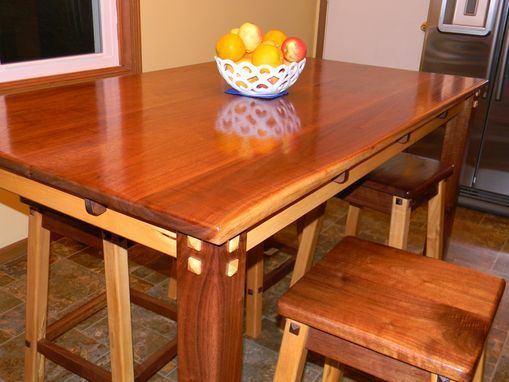 Beautiful split wood table set and is avaible for purchase. 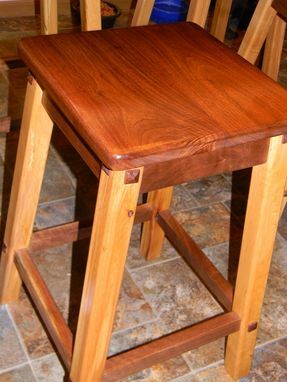 Stools - 25" tall 16.5"
Top base of stool - 12" x 12"
Bottom base of stool - 16.5' x 16.5"